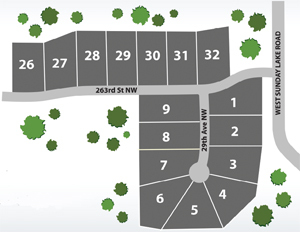 Journey through a community sited on acres of inviting open spaces and wooded areas. A professionally landscaped entrance welcomes you on your arrival,the perfect introduction to the dramatic architectural design of these high-end homes. Discover beauty inside and out via the homes exquisite interior finishes and charming territorial views. Multiple floor plans available. Open Houses most weekends-Contact Us for this weekend’s schedule. Eaglecrest is less than 5 minutes to shopping, and approximately 1/2 mile to Exit #212 at I-5.